I spend a large amount of my time thinking about food. What I’m going to feed my people, how to prepare it, when to prepare it. My son does not think quite as deeply about food but when he is hungry, he is ready to eat Right.That.Second! I love this recipe because it is SO simple to make, comes together in a flash, and can be easily adapted to suit your tastes or preferences. Don’t like peanut butter? Use almond or sunflower butter. Not a raisin person? Try mini chocolate chips or any other small dried fruit to make your passengers ready to travel. I also love these passengers because they are just fun! You (or your small helper)simply spread peanut butter on a piece of toast, add the cinnamon and nutmeg neck and pant line, cut them into four “Passengers” and then decorate them with raisins and other bits. What kid can resist food that you are supposed to play with? And grown ups, if you are making these and cannot resist making one (or two) for yourself, go right ahead and join the fun! Cut into four vertical slices (to make your individual “passengers”) and give them some personality by adding a face, shirt buttons, shoes or anything else you and the kids can think of! This is a great recipe to let even smaller kids do mostly themselves (wiht supervision of course!) as the only real heat is from a toaster and the only utensil is a table knife (which can easily be replaced by a plastic knife or even fingers). 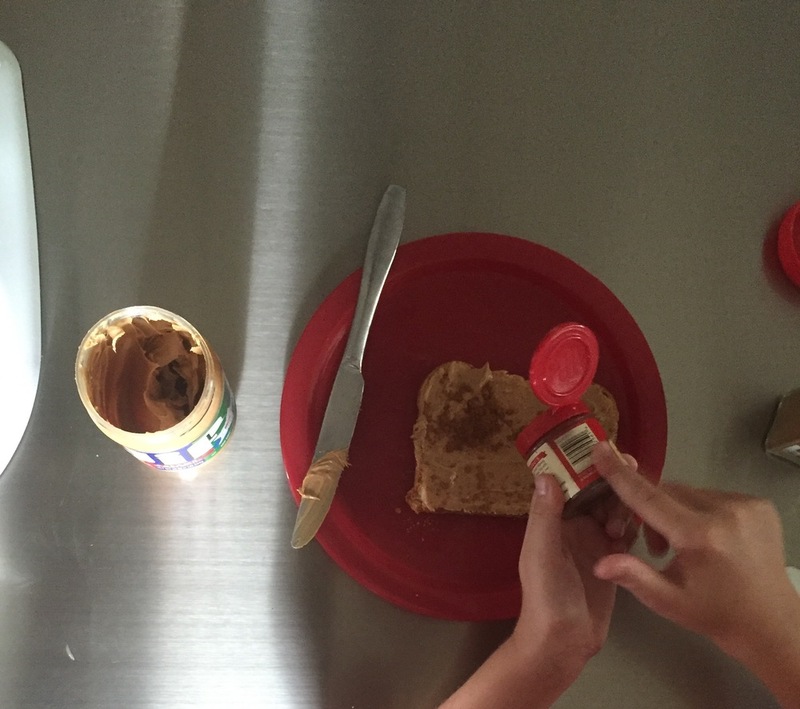 If you go the finger route, put a few spoonfuls of peanut butter in a small bowl and let each child have his or her own peanut butter to keep fingers that will probably be licked out of the jar of peanut butter. This recipe is great as an after school or mid-afternoon snack or if doubled and some fresh fruit is added makes a healthy and fast lunch or even a light dinner!